This year’s Valley Heights Cross Country team consists of seniors Madisen Hanson and Carter Popejoy, juniors, Abby Lister and Bailee Lister, sophomore, Chris Whitaker , and freshmen Jasmine Gartner, Paige Woodyard, and Aiden Nemechek. 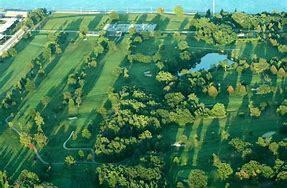 The Cross Country meets are usually hosted by different town’s golf courses. Once there, the Valley Heights team walks the course to get familiar with the route, and then prepares for the race to begin. Each run is a 5K race, or 3.1 miles long, weaving throughout the different obstacles, such as steep hills and rapid bends. This year’s senior, Carter Popejoy, said that his favorite cross country memory from his four years of competing was “just being able to hang out and bond with the other runners. I honestly wasn’t sure about this year’s group, being mostly underclassmen. But I got along with this year’s runners extremely well.” Carter’s best time was 22:58, achieved at the Centralia Lake course.